Anthony Lakes only needs one chair. 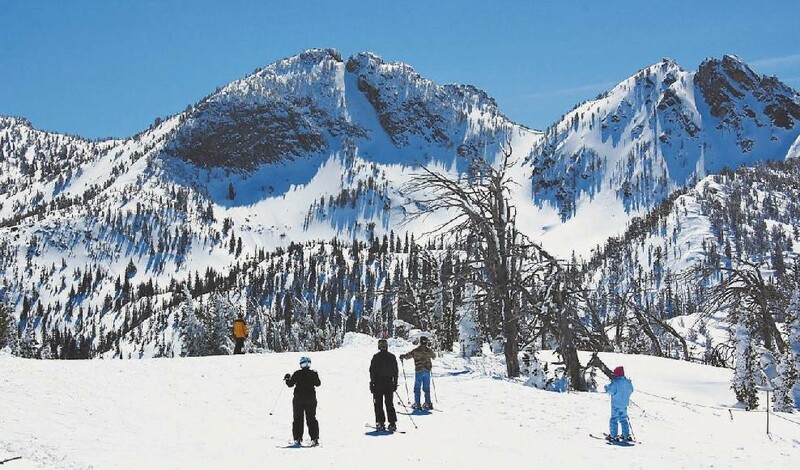 Skiing wise, Oregon still remains under the radar. Most skiers and snowboarders from out of state have heard about Mt. Bachelor and Mt. Hood. While most people just call it Mt. Hood, the mountain is actually home to five different ski areas. Most people have heard of it because of the summer skiing offered on the Palmer Snowfield. 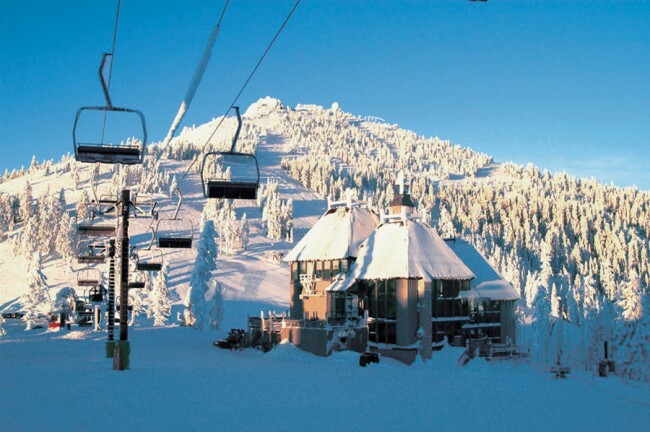 Oregon has a total of 13 ski areas. Yet, only three (Mt. Bachelor, Timberline Lodge, and Mt. Hood Meadows) get any real attention. So here’s a shout out to the small community based ski areas in Oregon. Let’s hope El Nino brings a better year to these mountains, as many of them did not do very well in last seasons incredibly bad snow year. Good small ski area in Central Oregon. Backside terrain with no lifts or development, easy way down from the summit for beginners, some steep terrain also on the mountain. Hasn’t done too well in the last couple of years. However, they sometimes get going earlier than other ski areas in Oregon, despite having a low base elevation for Oregon. Mt. Hood Ski Bowl has great night skiing. Mt. Hood Ski Bowl is probably best known for their night skiing. Locals come up after work and ski, as night skiing is offered every night. Monday-Thursday the ski area is open 3:00pm-10:00pm. Only on Fridays, Saturdays, Sundays and holidays will the mountain open at 9:00am. The ski area is located right in Government Camp. Walking distance from downtown Govy. Mt. 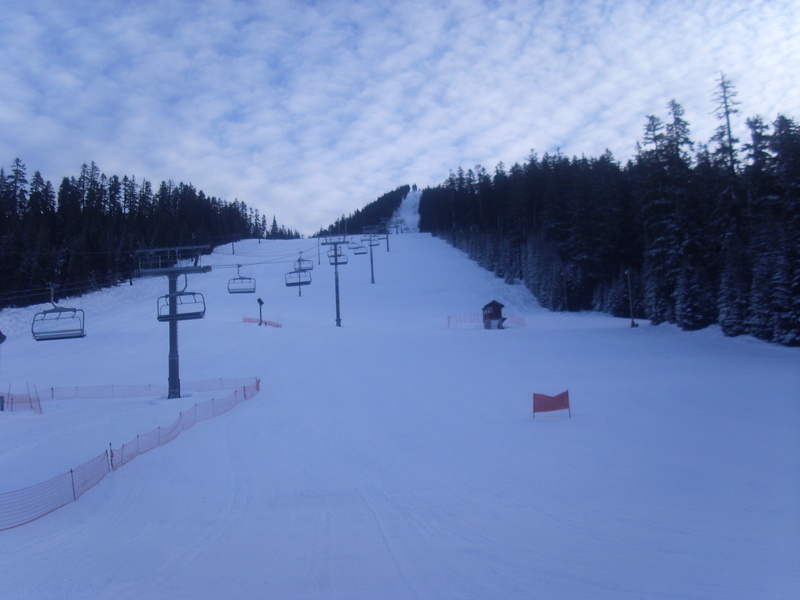 Ashland is a local nonprofit ski area in Southern Oregon. 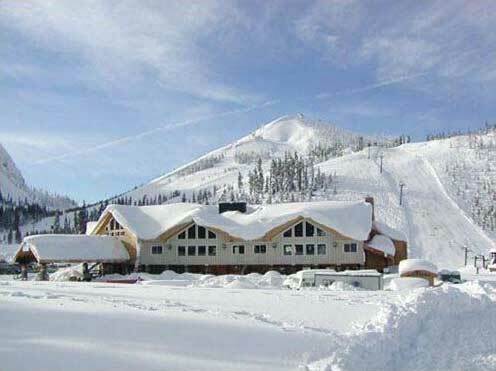 They were one of the few Oregon Resorts that were able to get open and stay open last year. Mt. Ashland only runs Thursday-Monday, as many smaller ski areas are doing these days. The town of Ashland is also well-known for hosting the Oregon Shakespeare Festival. If watching Romeo and Juliet is really your idea of killer ski town nightlife, you’ll love it in Ashland. 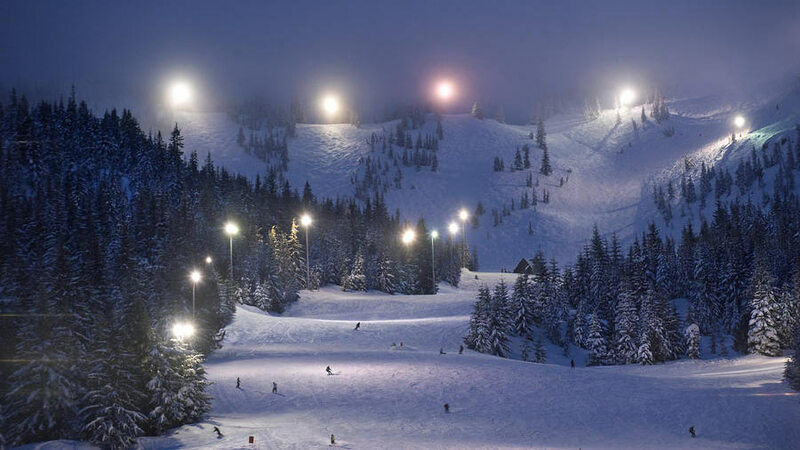 Great ski area under 90 minutes from Eugene. 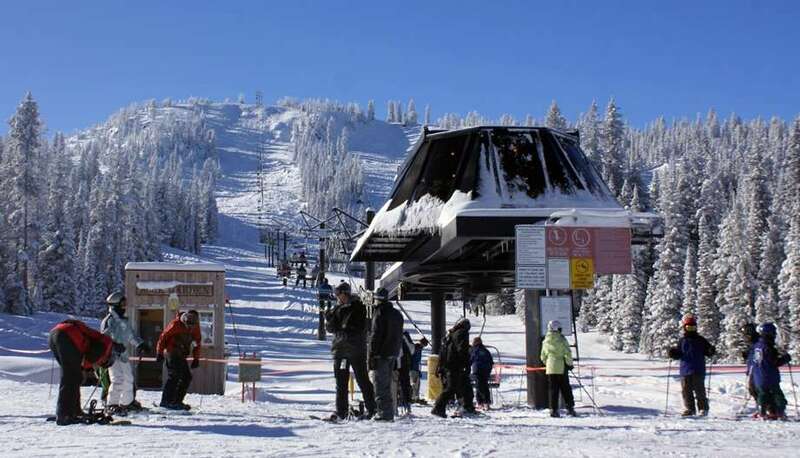 The ski area has Oregon’s only six pack lift, the steepest man-made in the Pacific Northwest and tree skiing that is to die for. Even at times when the ski area isn’t having a very good season you can still have lots of fun up at the pass. The north facing backside gets very little sun, especially in the early season. Willamette Pass has a lot of aspects that don’t get much sun in the winter that will stay soft and powder-like when other nearby ski areas are nothing but icy moguls. View from the top of Anthony Lakes. Worth it to hike out there for some backcountry action? Anthony Lakes is an incredible one lift, non-profit ski area. While it is located in “Redneck Oregon”, everyone seems happy and friendly. The Rock Garden Lift takes you to the top of the ridge. The in-bounds terrain is nothing to be ashamed of, with a variety of black diamonds, cliffs and some great tree skiing. Just outside of the ski area is some of the best Sidecountry terrain in Oregon. With the Couloir’s, chutes and bowls right next to the ski area, it almost looks like an Oregon version of the Tetons. One of the most amazing things about Anthony Lakes is how cheap the tickets are. Adult lift tickets are $35/day. If that wasn’t enough, lift tickets on Thursdays are 1/2 price. That means on Thursdays you can ski for $17.50 at Anthony Lakes. With the highest base elevation in Oregon, Anthony Lakes had a great season last year. While 7,100 is like going to the Ocean for people in some states, here in Oregon that is a very high elevation for the base of a ski area. Lodging options are also quite affordable for skiing there. In nearby North Powder, the only motel in town has rooms for $55/night hotel rooms and the rooms include half priced ticket coupons for Anthony Lakes. “I drive the snow-cat at night, ski during the day, and sleep in the spring.”-Just one of many interesting things I heard from the locals I met at Anthony Lakes. Shows just what kind of ski area this is. Please Note: The ski area stats are coming directly from the ski areas websites. While we would hope that these stats are honest and accurate, some ski areas may exaggerate their snowfall totals and ski area acreage, just like how some guys lie about their…uh…shoe size. I’m a Oregonian, lived in the Willamette valley for nearly my entire life. My pops was on the mt. hood volunteer ski patrol for my entire growing up which meant that he patrolled at all the Mt. Hood areas except Cooper Spur. I have some of my best memories at Ski Bowl both skiing with my friend’s who’s dads were also on the patrol but also my race team pals. Often skipping out running gates and jumping over into the sidecountry stuff. Moved to Corvallis for College opened up my eyes to Willamette Pass and Hoodoo, man those places are awesome when the season is going well. Many of these never opened last year (Hoodoo etc) due to lack of snow. Hoodoo got open for 11 days, Willamette Pass for 2. Ski Bowl was open for a little bit in the early season, Ashland got open for a little while anyways, even got the Bowl open. Anthony Lakes was open for a full season with good skiing conditions. Actually Hoodoo was open for 12 days(of which I skied 5) with the lifts spinning. We also skied another 6-8 days up there hiking for turns and sledding. Looking forward to this season and stoked for the snow and cold air we already have. Hoodoo and Anthony Lakes are the best area’s in Oregon for families so we love those places! Mt Ashland was closed midseason when I was there. Mt Bachelor & Timberline were the only ones with a decent season and they both closed earlier than usual. Bachelor only closed 2 weeks early. Timberline made it go for a very long time considering the bad year. No complaints. I have been working at Anthony lakes now for several seasons. We are an amazing little mountain. I’m not sure what makes this “redneck Oregon” or why that would make it a surprise that we are friendly and happy people? And Anthony Lakes serves some of the best beer in the world brewed by the most successful brewery in Oregon, Barley Brown’s located in Baker City. The “Redneck Oregon” comment just typifies the urban-rural divide and further underscores that even ‘worldly’ urbanites jump to rash conclusions without knowing. It’s Eastern Oregon. It’s in the middle of ranches, farms and lots of small rural communities. Redneck is not a bad word or anything. It’s just how people think of that section of Oregon, as Eastern Oregon is very different from the Eugene/Bend/Portland/Salem area. The term Redneck was intended to be rude. Anthony is a beautiful place with wonderful snow and it’s gorgeous in the summer as well. I grew up in the area and skied at Anthony many times, also Spout Springs. My parents had PhDs and worked at the college in LaGrande. They were NOT rednecks nor was the area…geez. Hey Kyle, Chuck from Portland here. Remember me? Hope to see you guys soon. This was fun to read about all these Oregon areas I was lucky enough to get to ski growing up in Eugene . I remember skiing at Bachelor the day they first opened, and to see how they have changed, wow. Time for a road trip……. Young Ski Addict from Oregon.